This morning when I woke up, I was super hangry. According to the Hanger Scale, I’d put myself on an 8. Yep, that hangry. What’s great for satiating hanger? Protein. What’s a great way to get some protein? Eggs. Are there any more questions? No. So I made some eggs. I’m gonna take you step by step through this incredibly easy to make meal. 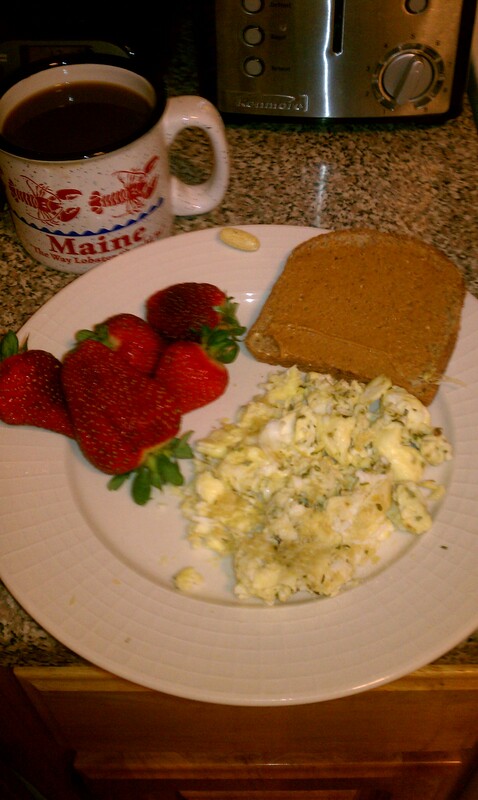 First you gotta start with 1 whole egg and 2 egg whites. I like to stick with the 1 egg for a little more fat and protein to cut out my hanger, and with the two whites because I don’t need that much fat and cholesterol for my healthy body. 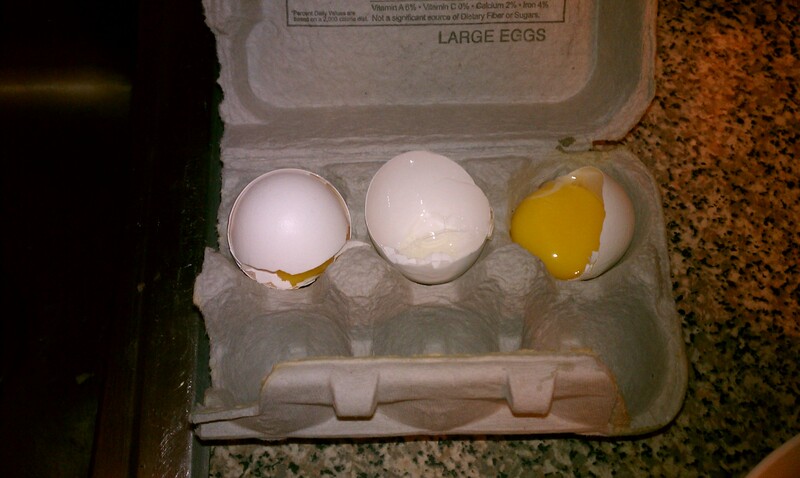 If you notice in the picture below, I’ve got 2 yolks not being used and then 1 egg-shell in the middle where you can clearly see, there is no yolk. I know, it’s crazy. We’re gonna get crazier. 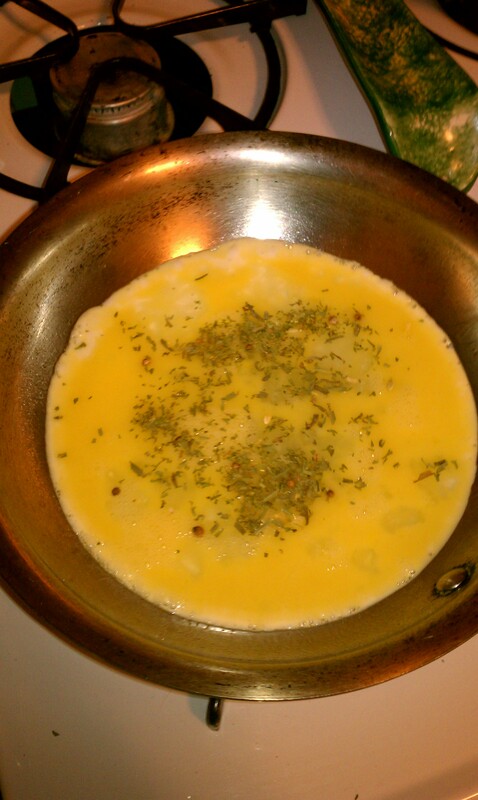 I then put the mixture of 1 egg and 2 egg whites in a pan. NUTS! For your viewing pleasure, I took a picture of it. I know what you’re thinking. 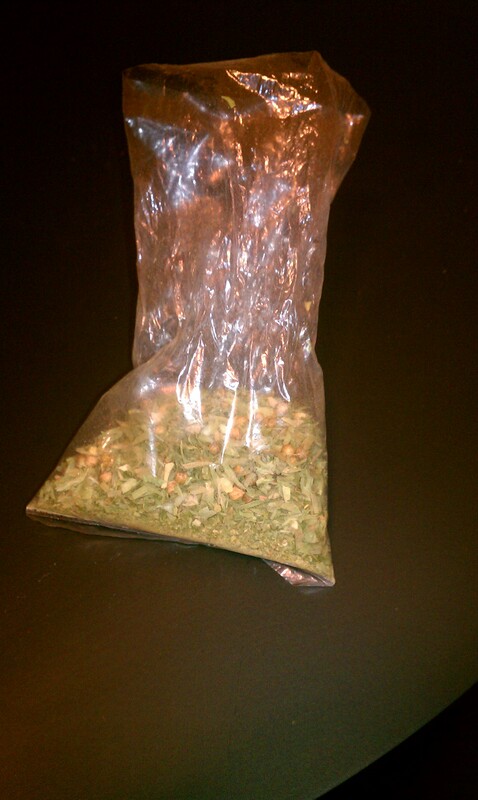 That doesn’t look like a spice. It looks like something you’d roll up and light. Don’t worry my illegal friends. It’s just a spice called Special Omelet. SO…moving on. As I am letting the eggs get all cooked and stuff, I pop a piece of Ezekiel bread in the toaster. 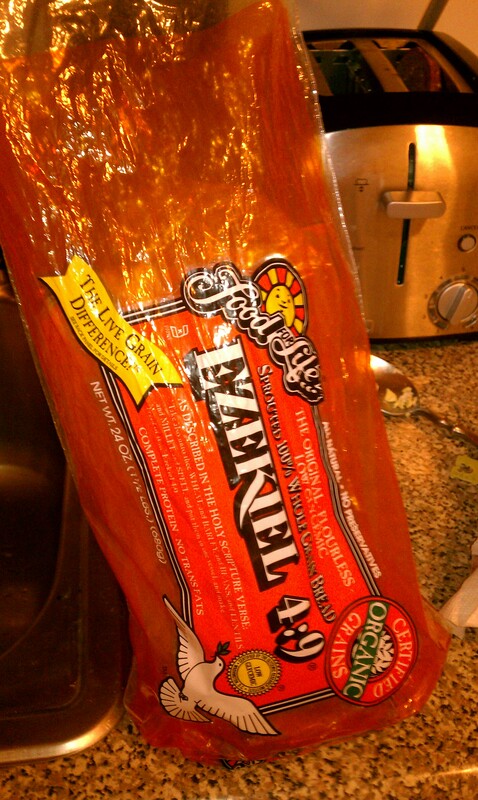 What is Ezekiel bread? you might ask. Well first of all, here’s a picture of it. Heeeyyy! Rockin’ the proteins and carbs and nutrients! I’ll sign up, Ezekiel. Plus, this bread is really yummy. It’s nutty and chewy and dense…My favorite kind of bread. So I’m toasting the bread and scrambling the eggs and then I wash some strawberries because strawberries are delicious and good for me. Then when the bread is all perfectly toasted, I lightly spread some natural peanut butter on that sh*t, and volia, egg breakfast du jour. Of course my favorite lobster mug is in there. Oh, and a multi-vitamin because a girl’s gotta stay healthy, right? Am I right? So there you are. Hunger is abolished and tummy is happy. I am going to have to go by eziekel bread, that looks like a good breakfast..